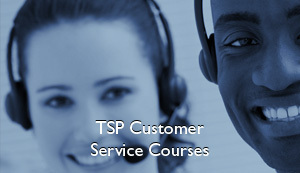 Good customer service is key to the success of any business or organisation. It’s a set of essential skills that’s found everywhere and covers all the elements that make a customer’s experience excellent. In a competitive market, consistent and excellent customer service can make a big difference to a company’s performance by enhancing its reputation and ensuring customer needs are met. Excellent customer service skills also feature within our Retail course which includes other specific retail components such as working with stock, undertaking transactions and displaying merchandise for sale. In addition to achieving recognised, externally accredited qualifications, your TSP Learn Course will enable you to get more satisfaction and respect at work, and enhance your relationship with others in your workplace.